The new firmware update has it, bringing new XMB functionality, a status indicator, a friends list redesign, dynamic themes, avatars, and much more. Free and premium avatars show up in your status bar, but the most prevalent of the changes is a status bar in the top right of the screen, which shows your avatar, your user icon, what you are up to, and a mail icon, in case you have messages waiting. Messages from your friends now appearing in their respective profiles. The games and video categories of the cross media bar will now feature shortcuts to the PlayStation Store, reflecting downloadable content and related items available. 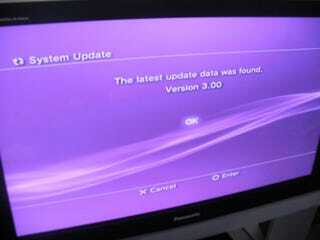 Firmware 3.0 is supposedly the last major PS3 firmware update this year.